Not even JPMorgan Chase is immune to crashing oil prices. The largest U.S. bank revealed a 7% drop in first-quarter profits on Wednesday, its first quarterly decline in earnings since the final quarter of 2014. JPMorgan's (JPM) profits were hurt by an 88% increase in provisions for credit losses, which totaled $1.8 billion last quarter. The Wall Street firm said that increase was fueled by the need to set aside more money to cover loans that are souring in the struggling commodities industry. That included an increase of $529 million in the oil, natural gas and pipeline business and $162 million in metals and mining. Even though oil prices have rebounded recently, many U.S. oil companies are under enormous financial pressure with oil at $40 a barrel. U.S. bankruptcies spiked 379% last year. Those problems can create headaches for JPMorgan and other firms that bankrolled the U.S. oil boom. JPMorgan also warned it could have to set aside an additional $500 million for bad oil and gas loans, though it warned there is a "high degree of variability" on that estimate. The bank said it's closely monitoring for knock-on effects from the oil crash that could be impacting transportation and other companies that service the energy industry. "We haven't really seen broad contagion in that space but we're looking very closely," Marianne Lake, JPMorgan's chief financial officer, told journalists during a conference call. Still, investors were fearing far worse news from JPMorgan amid big struggles in the overall banking sector. JPMorgan's profit of $1.35 per share easily exceeded estimates, sending the stock nearly 3% higher in premarket trading. JPMorgan, which is the first big U.S. bank to report first-quarter results, is also feeling the brunt of what CEO Jamie Dimon called "challenging markets." The company's revenue slipped 3% to $24.1 billion. These struggles were highlighted by a 24% decline in investment banking revenue due to lower debt and underwriting fees. That makes sense since last quarter was a terrible one in the IPO market, with no tech firms going public for the first time since the Great Recession. JPMorgan also said its markets revenue and fixed income revenue slumped last quarter, reflecting a broader industrywide slump. The good news is that Dimon doesn't see dark clouds on the horizon for the U.S. economy. He pointed to "healthy" trends for American consumers and JPMorgan's ability to grow loans and deposits "impressively." "I don't think you have a recession in 2016," Dimon said. "The U.S. economy continues to plug along." 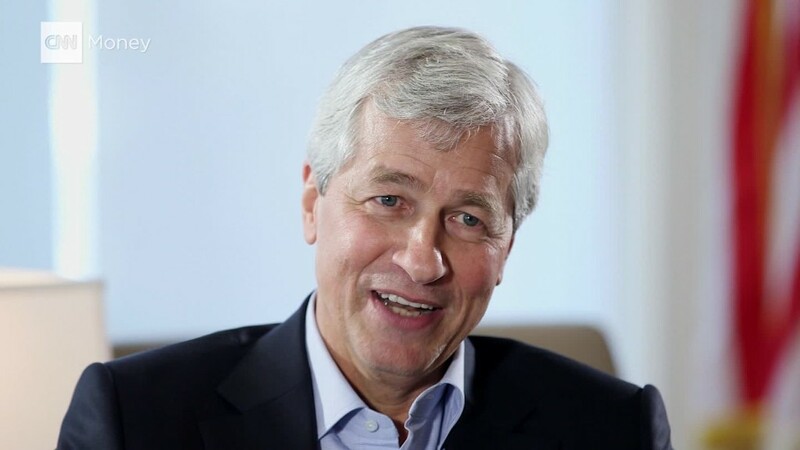 Dimon was uncharacteristically quiet about another topic: Democratic presidential candidate Bernie Sanders. He declined to comment on remarks made by Sanders last week claiming JPMorgan and most other big banks are "destroying the moral fabric of America." JPMorgan was also mum about whether Sanders would have the ability to break up JPMorgan should he become president. "We're not going to comment on hypotheticals," Lake said.